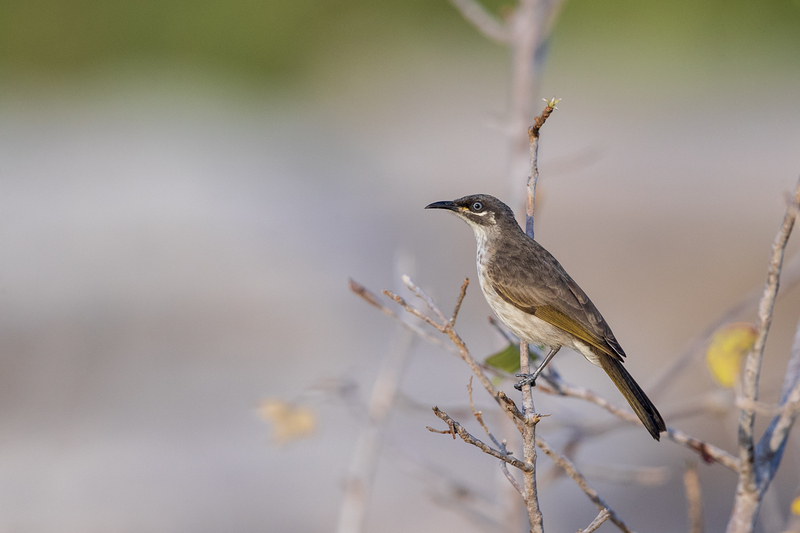 Here I show you just some of the amazing birds we have here in the Northern Territory, we target these species on both our day and overnight trips. If you have a specific species you would like to target please contact me. Contact me if you have any questions about any of my Birding or Photography, this is also where you go if you would like to book a tour or asked me about anything to do with birds or my photographs. Please note all my trips can be modified to target specific birds so please contact me for options. High quality fine art prints available for sale (Framed & Un-framed), all prints are of the highest quality and can be posted around Australia. All prints are printed on ilford paper and are sourced and framed locally so purchasing a framed print you support three local businesses at once. 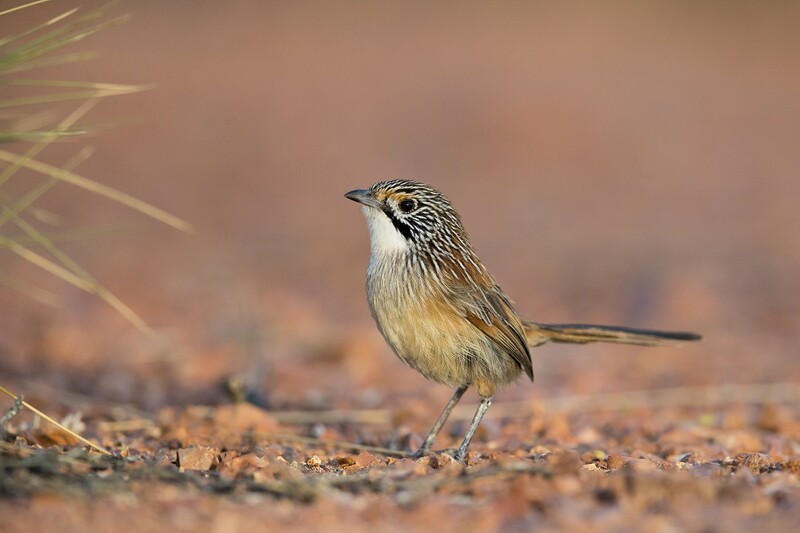 A page all about Australian Grasswrens including all surviving subspecies. 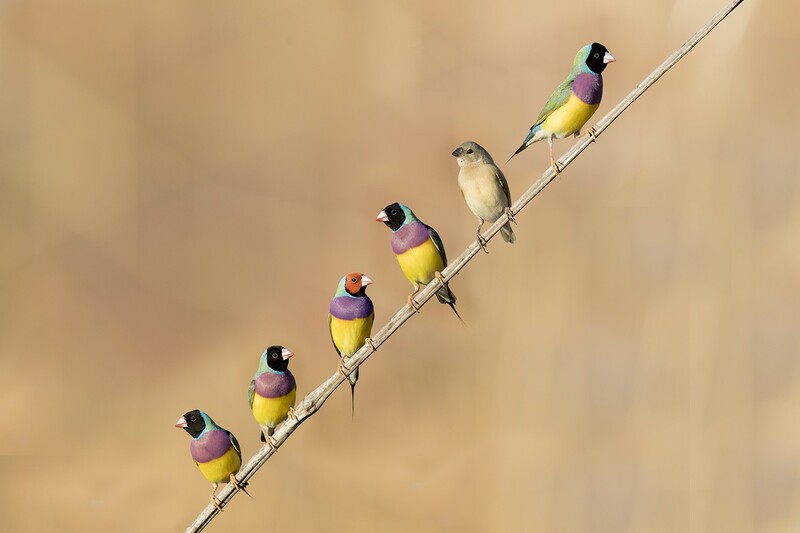 Here you will find high quality photos of the birds, habitat photos, maps and information on where to find them. Aside from guiding I am also a Professional Bird Photographer, here the link to my Photography website which showcases well over 1000 species of birds from around the world. 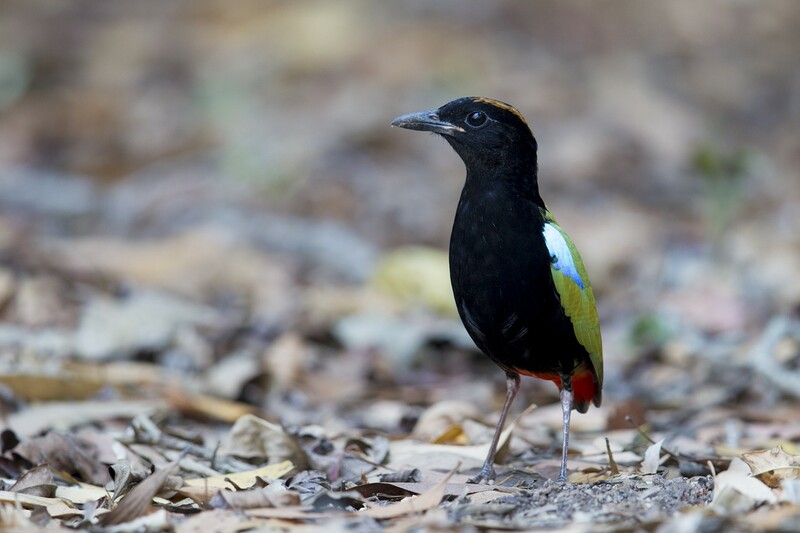 These include 450 Australian Birds, 150 Thailand Birds, 160 South American Birds and 240 North American Birds. 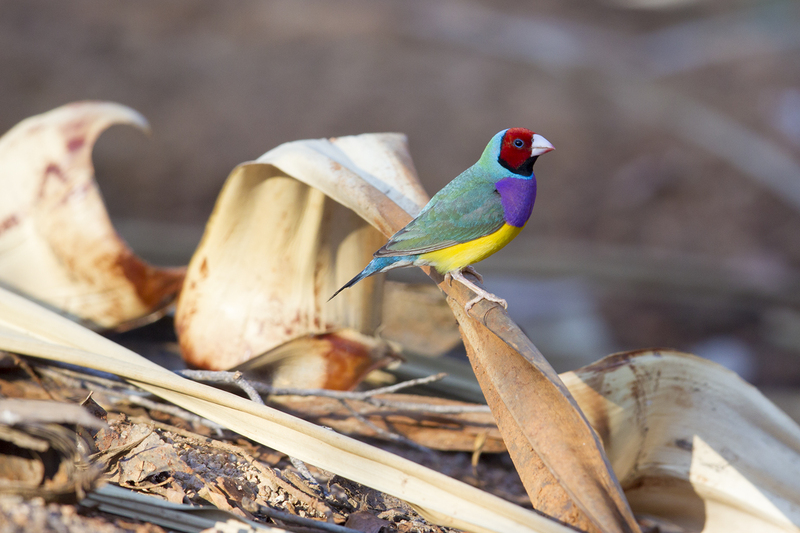 A free Top End checklist by Laurie Ross @ Tracks Birding & Photography Tours. Like doing things on the cheap? I hope my guides help you find a few birds. 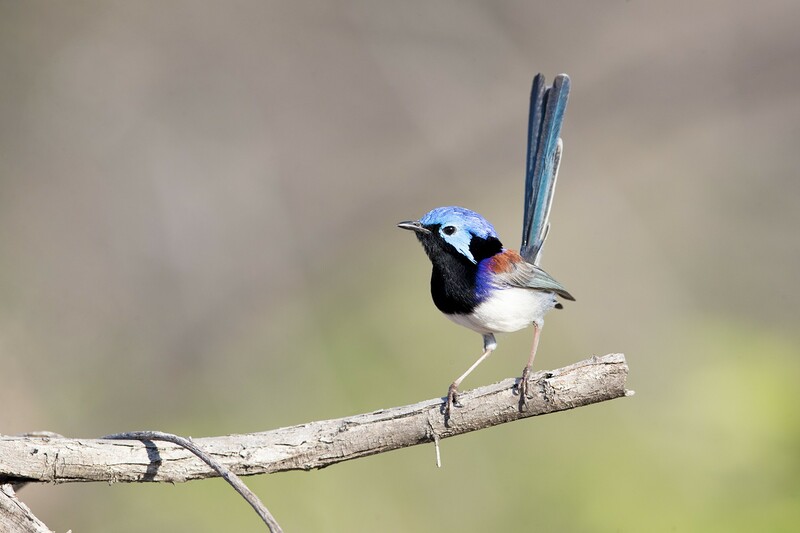 Here you will find my free guides on where to find birds around Australia, currently I have Darwin, Kakadu, Katherine & Victoria River, Alice Springs and Cairns. Tracks Birding and Photography run small group and private Birding Trips and Photography Workshops throughout Northern Australia, these cater for all aspects of birding including professional photographers who want high quality photographs, serious birders and listers who are looking at ticking some of the more difficult birds off their life lists and the entry level nature / bird lover who want to come out on a trip to learn more about Northern Australia and the Outback along with get some great photos along the way. Enquire about tours interstate including Queensland, New South Wales, Tasmania and the Central Deserts. 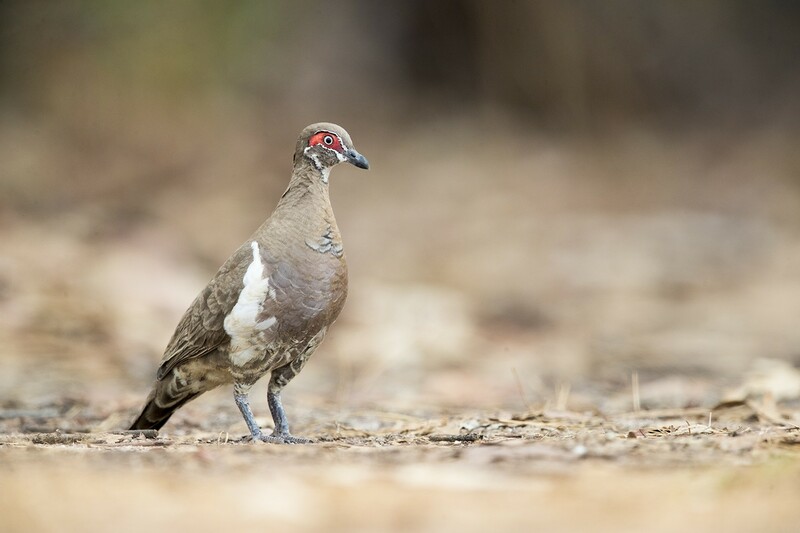 Tracks Birding is a fully licensed Tour Guide Business, we have all required permits, insurance, qualifications and Tour Vehicle Plates required to run a legal Tour Business here in the Northern Territory, Australia. My name is Laurie Ross and I'm the owner and guide at Tracks Birding and Photography, after many years of working in an office job I decided to follow my heart and start sharing my passion for Birding and Photography and this is why I started Tracks Birding & Photography. So now I am offering the opportunity to join me on one of my trips around Australia including the Northern Territory and Queensland, not only do you get a knowledgeable Bird Guide you also get a Professional and Published Photographer. I've been finding and photographing birds in Northern Australia for the past 12 years and have extensive knowledge of the Northern Territory and Queensland including Darwin and surrounds, Katherine, Kakadu National Park, Victoria River, Timber Creek, Tennant Creek, Barkly Tablelands, Alice Springs, Barrow Creek and the Simpson Desert including some amazing spots, where without local knowledge, you wouldn't see. 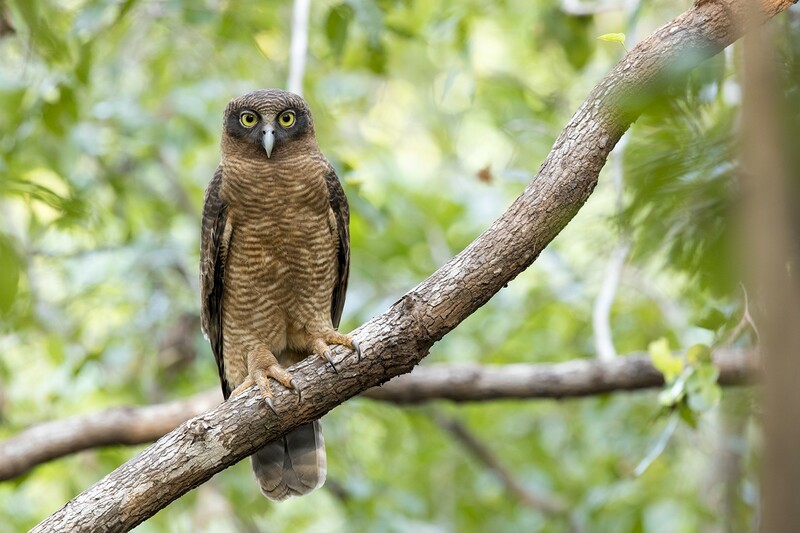 I also have extensive knowledge of Queensland including amazing birding areas like Cairns and Surrounds, Iron Range National Park, Outback Queensland including Bowra, Opalton, Channel Country and Mount Isa. 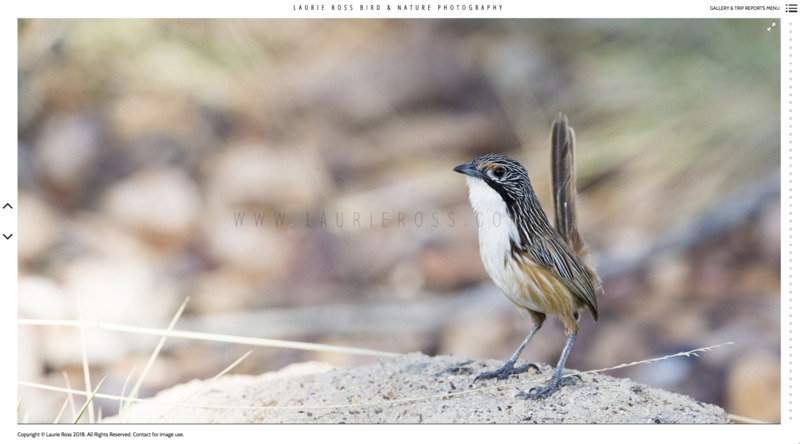 I am also a professional bird photographer, my photography website www.laurieross.com.au showcases all of my bird and animal photos from Australia and around the world, including over 510 Australian bird species alone. I hope in my lifetime that I have the opportunity to photograph them all with only 300 or so to go. I have been fortunate enough to visit and photograph wildlife in many countries around the world including New Zealand, Indonesia, Thailand, Malaysia, Philippines, Vietnam, Cambodia, Canada, Peru, Ecuador, Panama, Costa Rica, Mexico and throughout US. There's nowhere else like Darwin and I am always happy when I arrive back home to the Northern Territory. 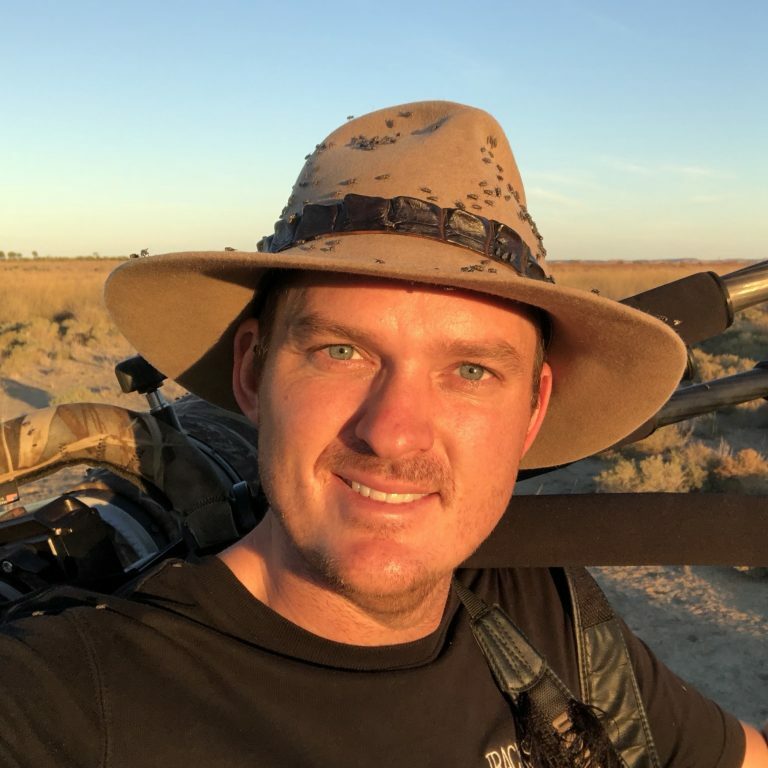 I look forward to hearing from you if you have a good sense of adventure and a passion for bird and wildlife, I promise you will have a trip that you will never forget and I will do whatever it takes to find your target bird or get that perfect photo. Along with being a Professional Photography Guide and Birder am also serious ebirder and in 2016 got ebirder of the year in Australia and also smashed the Northern Territory Bird Year record by 23, with a total of 330 Birds seen in the 2016 Calendar Year. If you're not on ebird you should check it out. It is a great way to keep track of your life list and it helps researchers and fellow birders find birds. Treat yourself to the experience of your life, just book a tour. The best decision I have made. So if you want to experience birds, make it yours. "What an amazing birding experience!" What an amazing birding experience! Thanks a million Laurie. Certainly up there with the top guides in Australia with no doubt the sharpest ears and eyes possible! As for the photography tips - what can I say. Changed my photography world totally. I’m not usually one to sing praises or write reviews for that matter but very well deserved Laurie - truly magical day and I would recommend you at the drop of a hat any day. "Great day birding the Top End"
Money well spent. Laurie is incredibly knowledgeable and his passion for birding really shows. This guy is the real deal! He is very engaging and my wife and I truly enjoyed our time with him. We learned so much and the best part was the fact that we ticked about 7 birds off our bucket list...all in a single day. Highly recommended. We will book again and, time permitting, would love to try an extended tour. "Best birding guide in Australia!" We have birded with a good number of guides over the years, including some very well known ‘stars’. Laurie tops them all easily. We spent two weeks with him in Alice Springs, Kathrine, Kakadu, Darwin, Cairns and the Tablelands. He is everything you would hope to see in a bird guide: very knowledgeable about birds in general, knows where to find them, recognizes bird songs and calls fantastically, knows how to approach them and how to show them to us in a way that would make it easy to obtain great photos. He has great relationship with many local birders and has used those relationships to get tips on where rare birds could be found. As an example, he would hear a bird call while driving on the highway at 130 km/hr, would be able to notice that bird camouflaged in a bush, and turn around in time to show it to us. In addition, Laurie was a pleasure to spend time with. He was friendly, interesting, and knowledgeable about insects, reptiles, fauna and local history. As a nature photographer, he provided us with great photography tips. 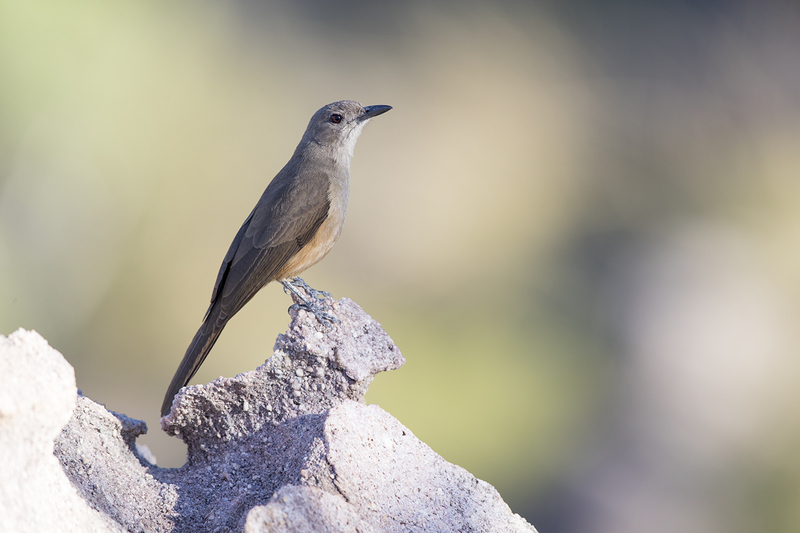 Thanks to Laurie, we have exceeded all expectations to find and photograph birds by over 50%! 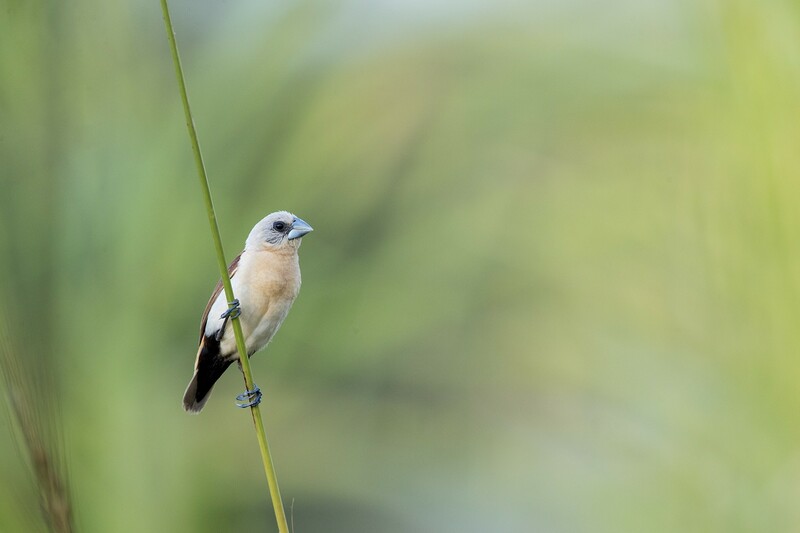 "My best bird photography trip to date"
I was looking for 4 days of birding photography in NT and made an inquiry of Laurie. He made some recommendations and we agreed on an itinerary. From then on he did all the organisation, from picking me up from my hotel in Darwin to dropping me at the airport. I have done quite a few of these sorts of trips. Step one is to find the birds but you then need to work through how to get a decent photograph. This requires all of the knowledge and skills of a top photographer like Laurie. The results speak for themselves. I got a lot higher proportion of good images with Laurie than I had previously achieved with a bunch of other guides, all of whom had excellent birding skills. Apart from these absolutely core skills, the bonus is that he likes good coffee and good wine and he is good company. 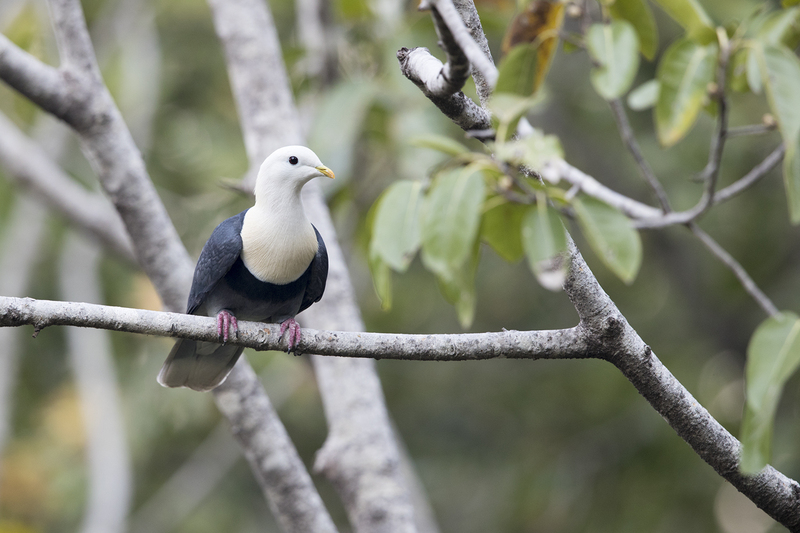 We recently spent some time with Laurie in an attempt to find a long sought target species. While it was a very late request, Laurie very generously made time in his busy schedule to meet help locate the species. His response to our request was very timely and clear, and he maintained contact prior to meeting to ensure all went to plan. It was a pleasure to meet and spend time with Laurie, he was very knowledgeable and a very good communicator. We look forward to spending more time with him on one of his tours in the future and would very happily recommend his services. Our day with Laurie Ross was wonderful, far exceeding our expectations. He really knows the birds, their call, their locations and their natural histories. He also took good care of his birders. He kept a bird list for us and provided a constant supply of cool water, as well as morning tea, lunch and restroom stops. On this very memorable day we saw 79 different species of birds. Laurie took me around the best spots to find the birds I was after in Darwin and he did not disappoint. I saw (and photographed) all the species I wanted plus more! Super organised, friendly and professional - I wouldn't hesitate to recommend him for your birding trip. Thanks Laurie! We had a great fortune to meet up with Laurie as the 1st Guinea Pig on his week long photo Safari .He to great length to make I had what would make a great photo. Was not the least disappointed. He was always on time,15 mins before. Had all the snacks in the refrigerated cooler. Had great food under the desert conditions. Had bird guides in all 7 continents and none can match his skills and care. Will be going back with him next year in Queensland for more endemics. 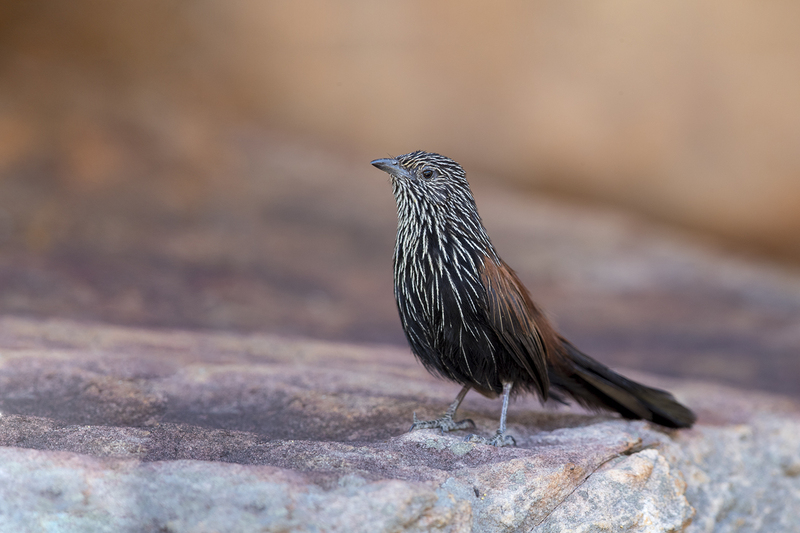 I have been liaising with Laurie via emails to arrange a place on a grasswren tour. Laurie replies promptly and always provides sufficient info. I look forward to joining his tour group. For almost a month Laurie was our guide. He finds every bird and was excellent company. He also knew the best places to eat which was a big bonus for me!